Home cooked food – You don’t need to buy a gift, why not make one? Home cooked food is bound to be appreciated by any new parent. After all, they have been living off hospital food for the past day or so. Plus, once they get home, they have a new baby to attend to and they will be feeling a bit sore too! Cooking is the last thing they will want to do. If they have a number of home cooked meals in the fridge that you have brought them, it will make their life much easier. A restaurant voucher – While we are on the subject of food, a restaurant voucher is a good idea. It may not seem one on the surface. After all, she has just given birth, is she really going to have time to go to a restaurant? However, that’s the point! 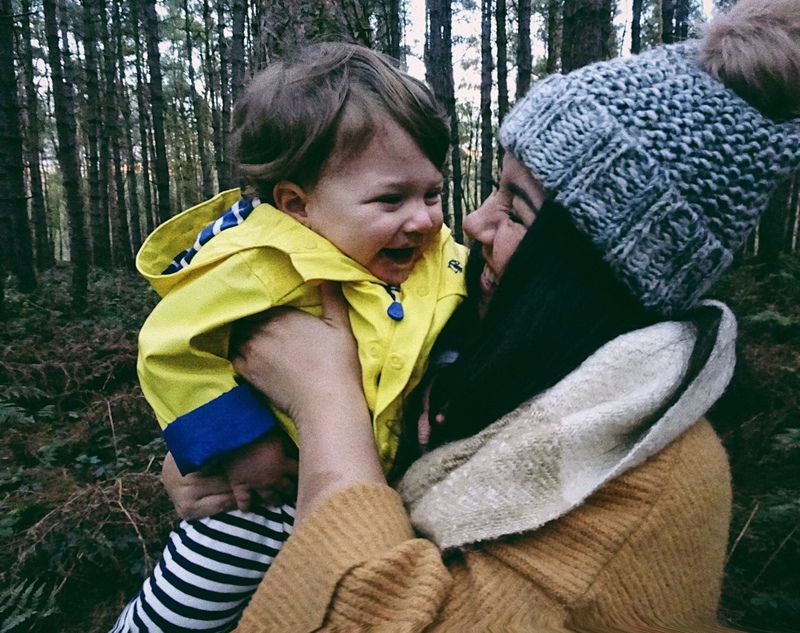 New mums barely have time to enjoy themselves, and relationships can often take the back burner. To make sure the parents get to enjoy a date and some quality time together, a restaurant voucher is a great idea. Birthstone jewellery – If you want to get the new mum a keepsake that they can cherish for years and years to come, why not buy a special piece of jewellery that contains the baby’s birthstone? This will make the gift twice as meaningful. Book a photography session – Every new parent loves taking photographs of their newborn baby. Why not book a newborn photography session for the new mum and her little one? That way, they can create memories and photos that can be cherished for a lifetime. Are you worried that they may have already booked a photography session? It’s not something that most parents do straight away. After all, they have a lot of other things to do! Plus, if you make sure the photography session can be cashed in over the next year, then it doesn’t matter if the new mum has already pencilled in photographs to be taken – they can take some more once their child turns one-years-old. One of my biggest regrets was not doing this, it seemed like a huge unnecessary expense at the time, but looking back I really wish I'd of just bitten the bullet. A baby basket – Another gift that will be greatly appreciated is a baby basket that contains all of the stuff that new parents are going to need, and are likely to run out of too. There are so many different things you could put into the baby basket. This includes essentials like nappies and baby wipes. You can also include gifts for the mother, such as relaxing bubble bath or vouchers for a spa. Other suggestions include plastic cutlery, a baby comb, a rattle, some knitted items, and anything else that will come in useful. All you need is a wooden woven basket, and you can decorate it with a big bow to add the perfect finishing touch. Not only is this gift useful, but it will look visually impressive, and she will love going through everything that is inside. A cleaner – You may think that hiring a cleaner is rude, but it certainly won’t be taken that way. New mums have so much to do. They will be surviving on just a few hours sleep. They will be dealing with a crying baby. Plus, they will probably have countless visitors who want to see the baby! They are never going to have the team to clean. Hiring a cleaner to come every week or two for the first month can be a lifesaver for any new home. I know when Patrick was a newborn we had an ironing lady for a couple of months, it was an absolute godsend and worth every single penny. It was one less stress off me and I don't think you can put a value on that gift. Some pretty pyjamas – Taking care of a new baby will involve a lot of snuggling on the sofa and the coach. Give her some stretchy and soft loungewear so that she can do so in comfort and style. Plus, if visitors come calling without giving prior notice, she won’t feel so bad if her loungewear looks good. Body oil – Another great gift for a new mum, which she is unlikely to have received from anyone else! Labour and delivery are physically demanding. It is not uncommon for the new mum to experience dry skin afterwards. Luxurious body oil can help to alleviate this while also fading any stretch marks too. A snack hamper – Yes, back to food! The final suggestion is to put together a snack hamper for the new mum, or to buy a pre-packed one. Snack hampers are a good idea because life with a newborn can be incredibly hectic. Sometimes making a full meal simply isn’t possible. You want your loved one to stay healthy and to get enough food, so a snack hamper is ideal. It will offer variety and ensure there is always something tasty on hand. So there you have it: some great gift suggestions for new mums! From photography sessions to home cooked food, there are plenty of unique gifts that you can give to a new mum. These gifts are a little bit different to the norm, and they are bound to be appreciated by any new parent. These are great ideas, I would have loved each and everyone one of these when my daughter was first born. These are all brilliant ideas that I would have loved as a new mum. I love that they are for mum and not just things for the baby. A cleaner has to be top of my list! and nice PJ's for the night feeds and early starts. I love the idea of pretty pjs. I spent a lot of time in the house after I had Luke and having some “posh” pjs to lounge about in would have been lovely and totally lifted my spirits. Baby number two is on the way now and id love it if someone made me some home cooked meals (or even bought some ready meals!) and a snack hamper! Pretty pj's are such a lovely idea - especially lovely soft ones. You often feel pretty crap in the body after giving birth so something to make you feel extra special is welcome. As is the cleaner hahah!! I would have LOVED a cleaner, I'd still love one now! and pyjamas...always! These are great ideas. Top of my list would be home cooked meals and a cleaner. I was lucky to have my parents staying with us when my son was born so didn't have to worry about any of that (or walking the dog) for the first week! The best new mum gift I got, was a basket full of all the smelly cheeses from the local cheesemongers, that had been off limits during pregnancy. Can you tell I love cheese?